Organiser: Bergen Resource Centre CMI/UiB and Studentersamfunnet i Bergen. What’s the role of the headscarf and hijab in Norway and the world today, and what does religious clothing like this symbolize in different parts of the world? We have the pleasure of presenting a panel with extensive experience of the topic. They co-authored the book “The politics of the headscarf in the United States” which takes on this issue in the US. -Sarah Tobin, economical anthropologist with expertise in Islam and gender in the Middle East, she’s the author of the monography “Everyday Piety: Economy in Jordan”, and is a senior researcher at CMI. -Aubrey Westfall, assistant professor of political science at Wheaton College Massachusetts. She’s specialized in comparative politics and international relations. -Özge Çelik Russell, assistant professor of political science at Gazi Üniversitesi in Turkey. She specializes in political theory and political participation with special focus on women’s rights, political agency, and voter turnout. The headscarf has been of cultural, religious, and political importance for the public discourse in the western world. There are a range of opinions concerning religious clothing like the hijab, but how is the situation really for the individual wearing it? Can the approach Norway and other countries are taking to this situation tell us something more about ourselves? The event is a cooperation with Bergen Resource Centre CMI/UiB and Studentersamfunnet i Bergen. 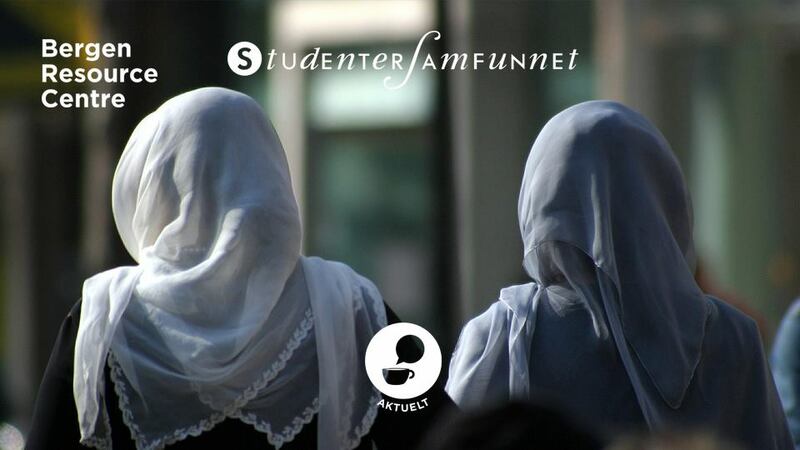 Membership is required to attend events organized by the Studentersamfunnet i Bergen. Membership is open to all and can be purchased at the door for 50 kr. This gives you free entrance to all the regular events of the current semester. This entry was posted in Uncategorized on September 14, 2018 by AnnaG.